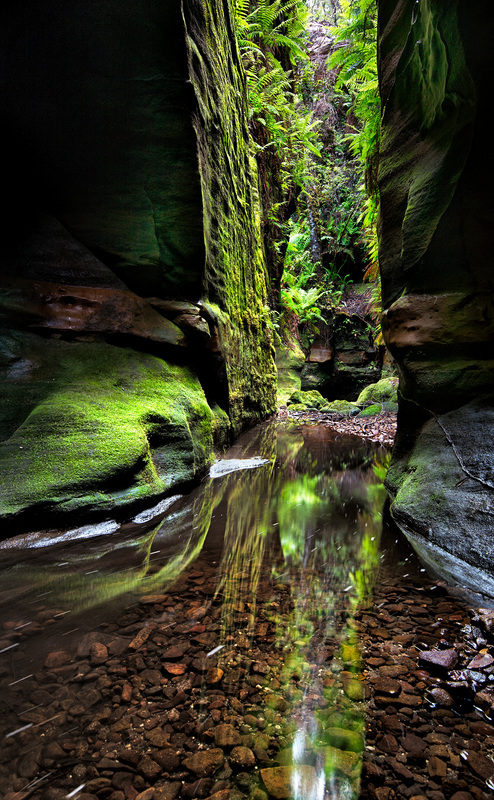 A fun canyon within the Blue Mountains of Australia. Whungee Wheengee canyon is one and a half hours bush walk from Mount Wilson and is an Amazing adventure which is filled with tight canyon passages and tall sandstone walls. The canyon also includes a few places where you need to swim underwater to bypass constrictions. The canyon includes 4 abseils and 800m of swimming in the Wollangambe River. This image was taken with a Nikon D800E which I took through the canyon in a leaky waterproof case ;-) good thing I protected it with two layers of waterproofing.